This has been an interesting summer here on the Pocono Plateau of northeastern Pennsylvania. The first few weekends were washouts, dashing hopes for long awaited tennis events and swimming plans. The woods became more dense with lush leafy growth of shrubs and trees. I have read this is due to higher levels of carbon dioxide produced by warmer climate. In previous summers one could see through the trees in the back yard to streetlights beyond but not so this year. Our garden Buddha sits atop the remains of an old stone foundation wall, and it has been necessary to cut back the berry canes and other shrubs around it several times this year. We also have seen no fireflies here or in New York this summer. I haven’t seen any news stories to address this in 2015, but apparently light pollution is a major factor. When the night is bright, fireflies fail to see one another in their usual mating courtship and therefore produce no offspring the following year. In addition to the lush vegetation we see all around us, our small plot in the community garden is a tangle of tomato abundance and exuberant Italian parsley and fragrant basil. The parsley is an essential for summer green smoothies, offset nicely by ginger root, fruit and other healthy additions, depending on one’s tastes and what is available. We’ve made piña colada mojito smoothies, minus the spirits but tangy and delicious all the same. 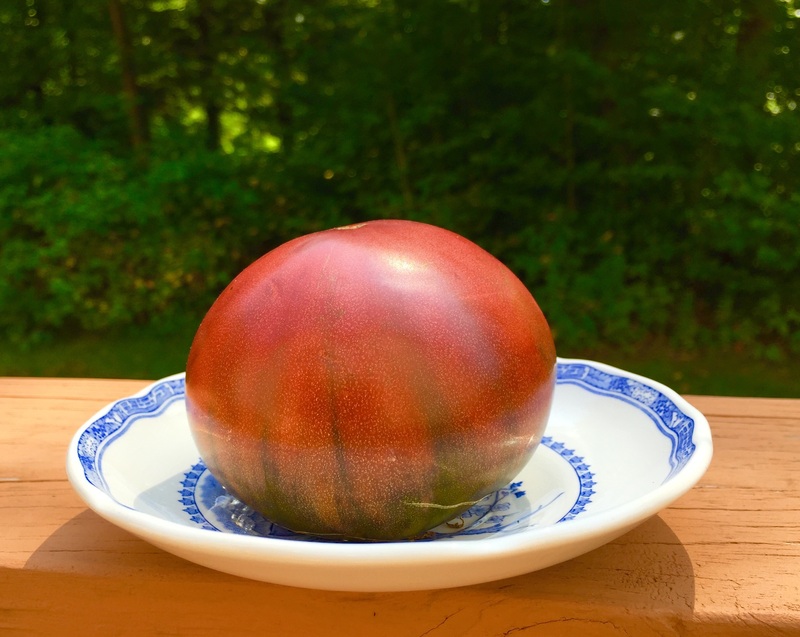 These Cherokee Purple heirloom tomatoes are ready to pick when the bottom is purply-red and the top still green, and frequently cracked as well. 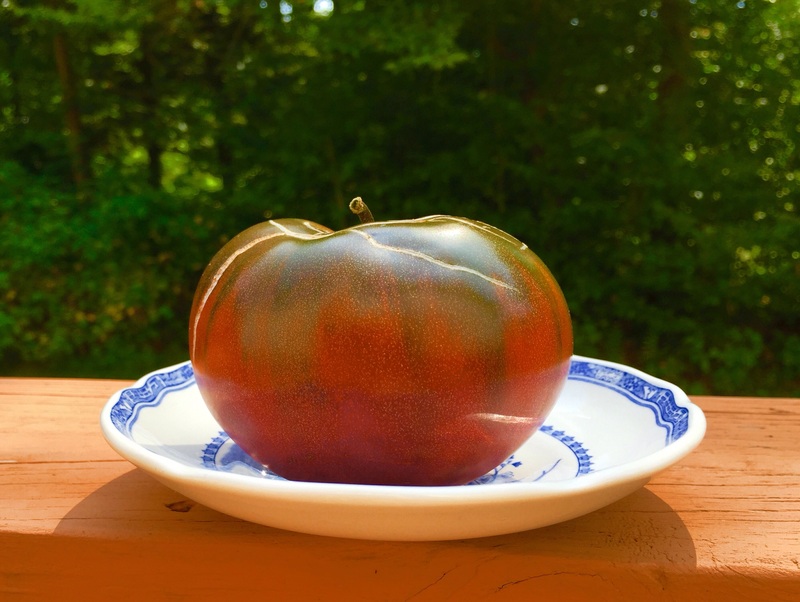 Sliced, these Cherokee Purple heirloom tomatoes are dark red with a purple tinge. They are delicious! 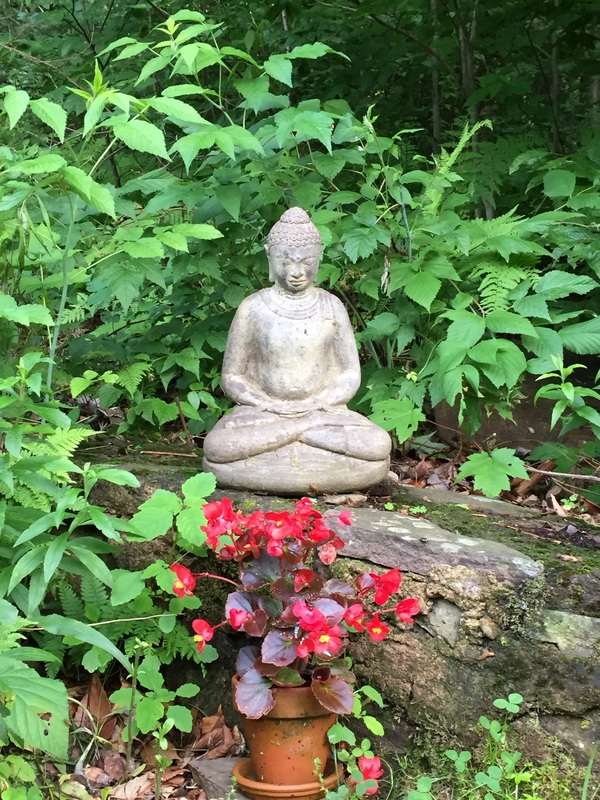 Savoring summer’s bounty has been a very happy experience this year, as has casting our meditative eyes on our lovely Buddha, surrounded by the lush woodsy growth, ferns, clover and the potted begonia that has flourished without any care as it celebrates its honored place. Buddha is an overseer of deliciousness in your part of the world. 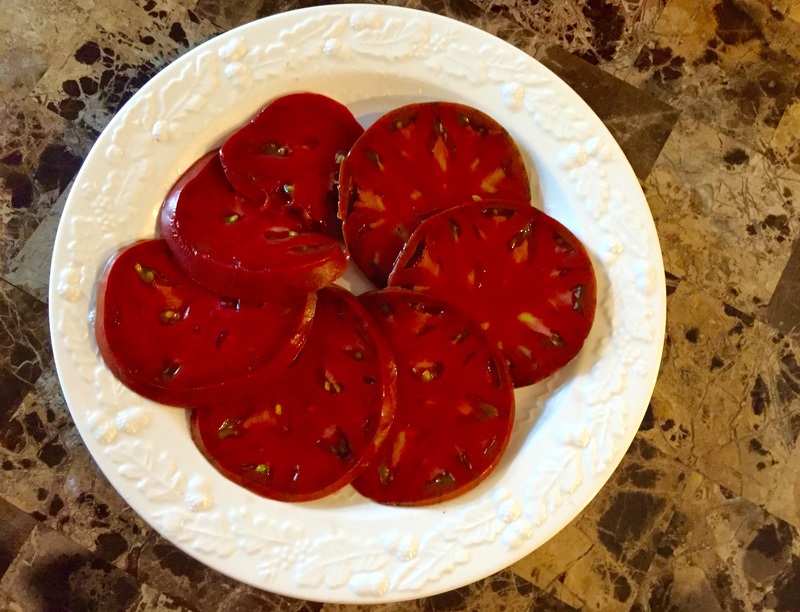 These tomatoes look so good Sunny! Thank you, Val! 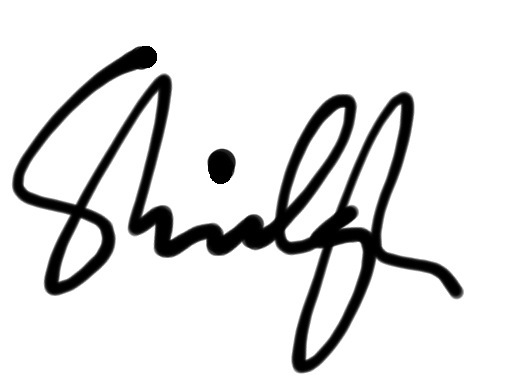 I appreciate your insights. Sad about the fireflies, but such a nice post, full of life. Thanks! Thanks so much for your comment, Maria. It is sad, but it is a reminder of the impermanent nature of all life. Remembering this helps me when I get aches and pains and other signs of aging. That said, hopefully we will see fireflies again!